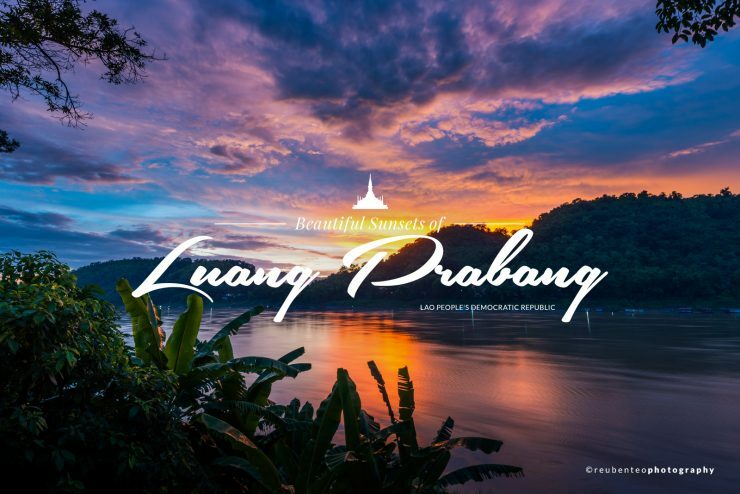 Luang Prabang is well known for its slow paced lifestyle and spiritual nourishment. 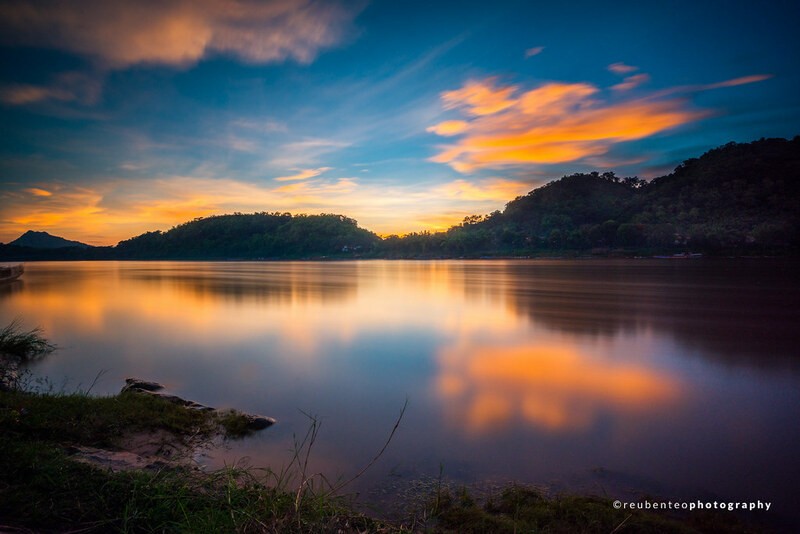 It also boasts a fantastic place to enjoy sunsets. The small scale of the town allows visitors to walk the streets, enjoy a bite while indulging in the surroundings by foot or bicycle. 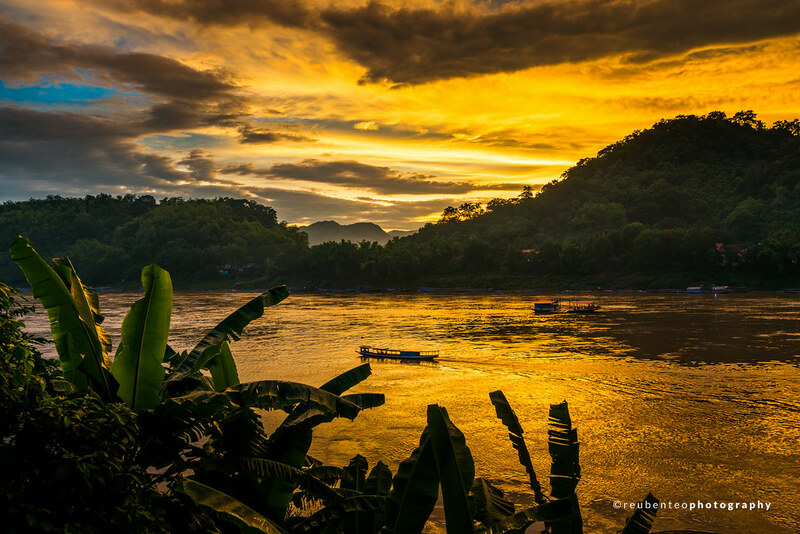 Quiet throughout the day, Luang Prabang not only relaxes your mind but showcases one of the most beautiful sunsets and sunrises you can find. With its mountainous terrain, Buddhist temples and a good fusion of old colonial architectures, it is indeed a photographer’s dream. 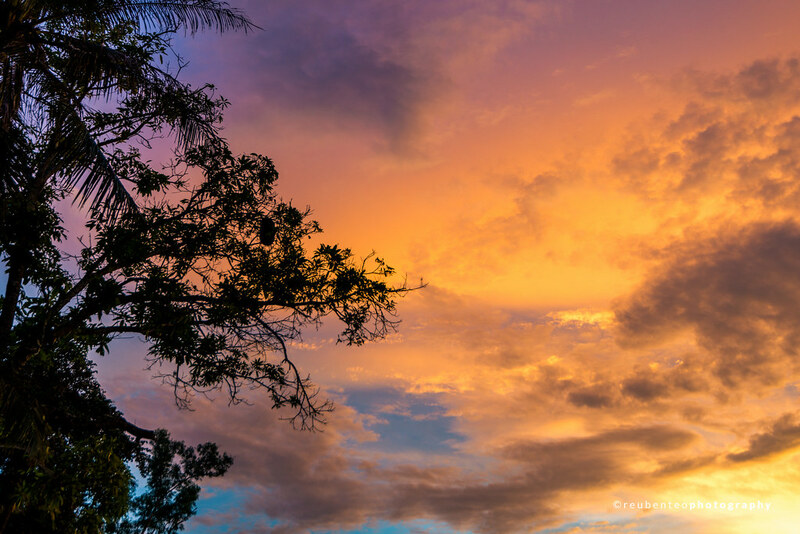 Finding spots to photograph the sunset is easy. 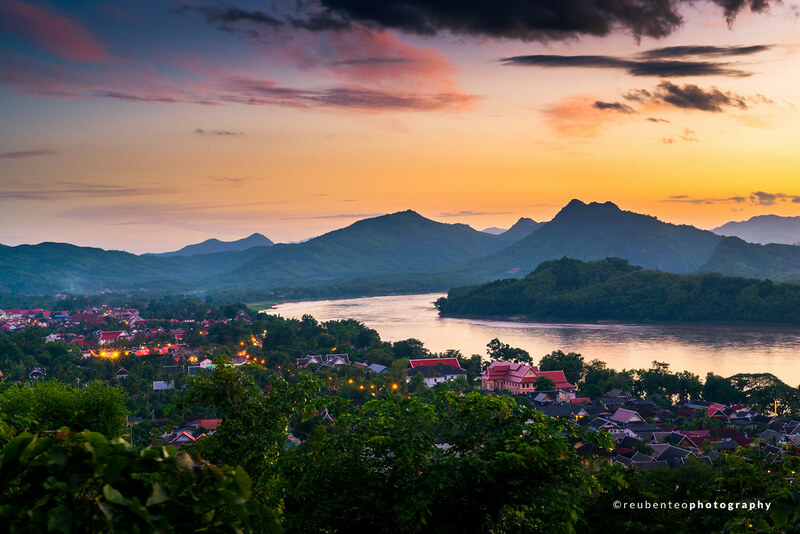 The direction of the setting sun is well located in Luang Prabang. 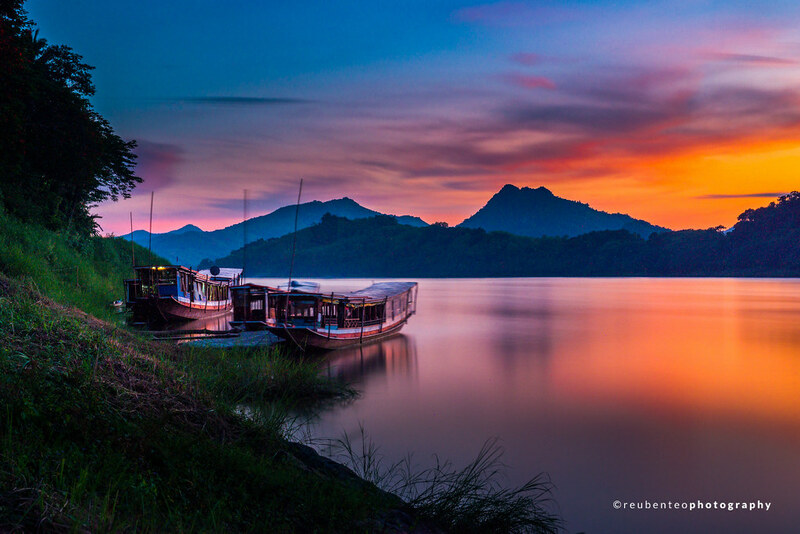 It sets just right towards the direction of the Mekong River where reflections of the sunlight creates this fantasy-like romantic colours. Just take a stroll along the river front and if you see a spot that you like, just fire away. 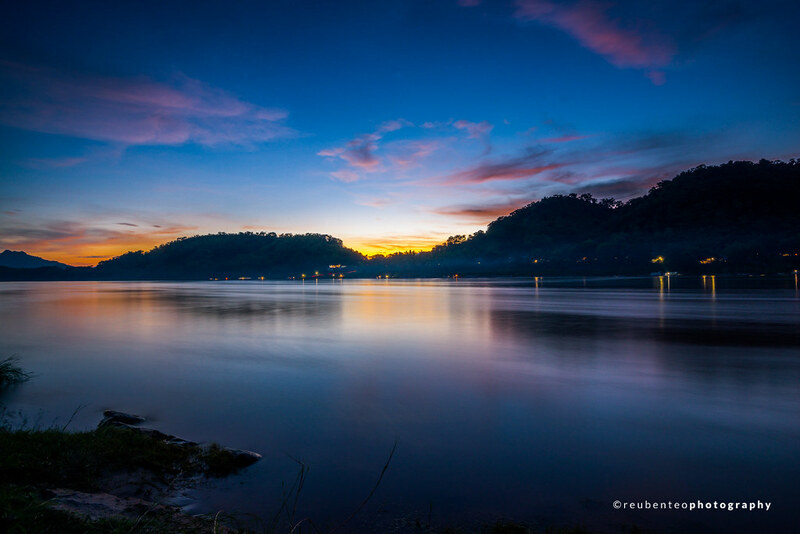 But don’t stop when the sun starts to hide behind the mountains because as blue hour approaches, the real tranquil environment of Luang Prabang comes alive. 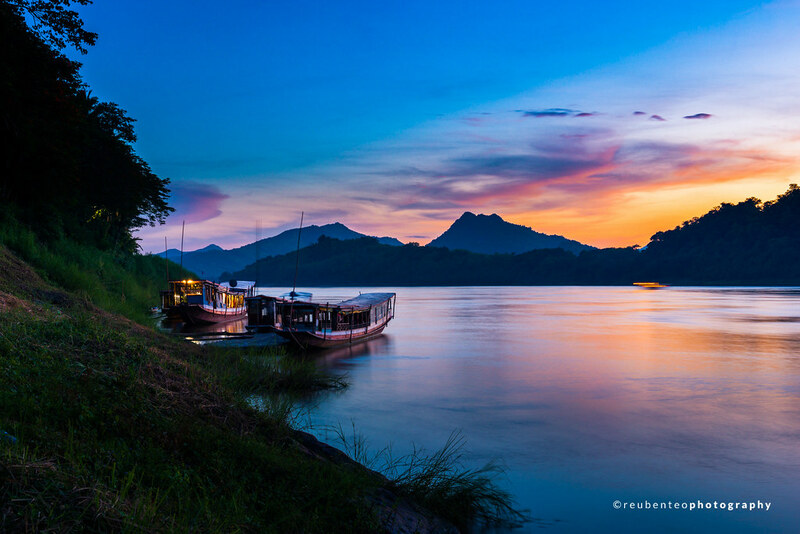 Besides enjoying the end of the day, there are boats and ferries passing by the the river going about their daily lives. You can grab a cup of fruit juice at the night market nearby and enjoy the view. 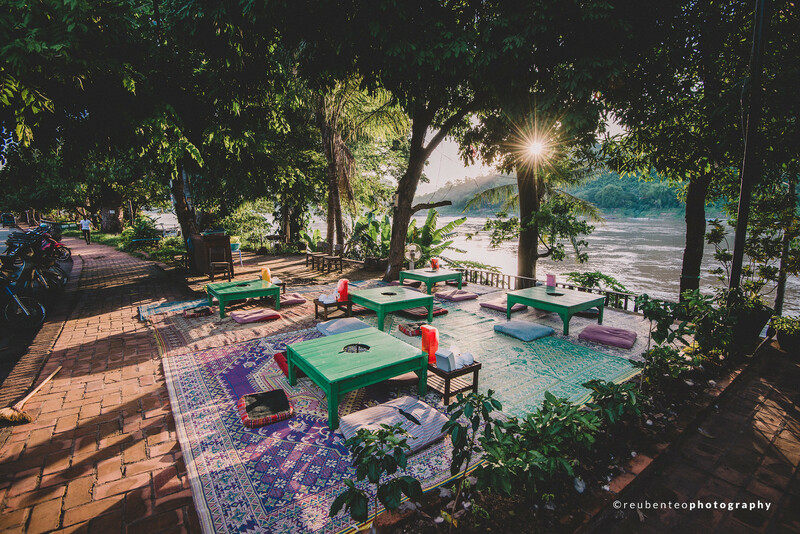 Along the Mekong River, you can also find numerous restaurants that serve good food as you watch the changing sky. 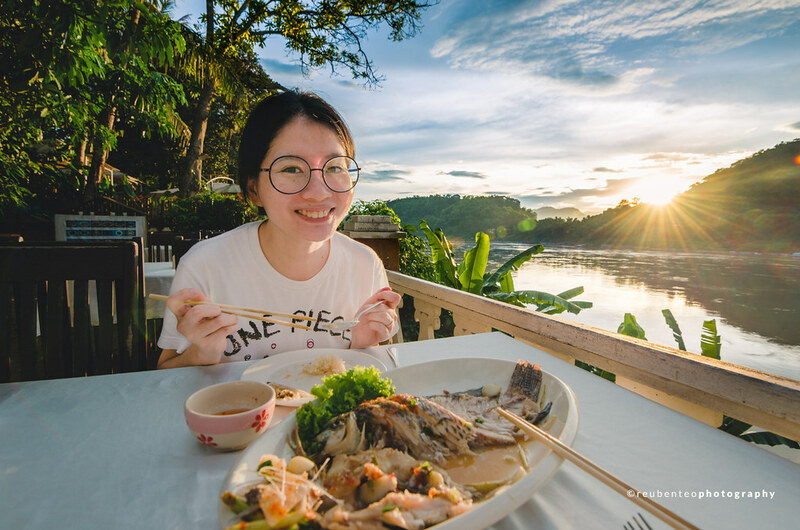 The food they serve at these spots were surprisingly delicious unlike most tourist traps in other countries. If you ask any local where the best sunset spot is, they will direct you to Mount Phousi. 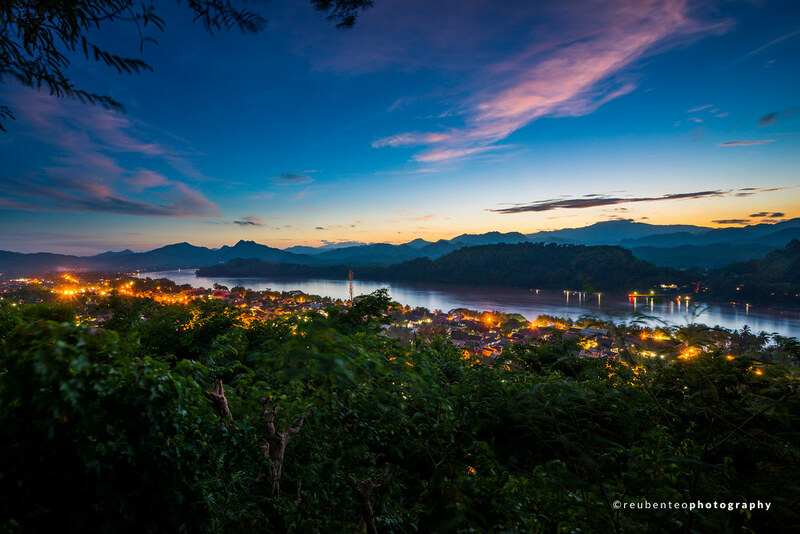 It is situated right in the center of Luang Prabang town. 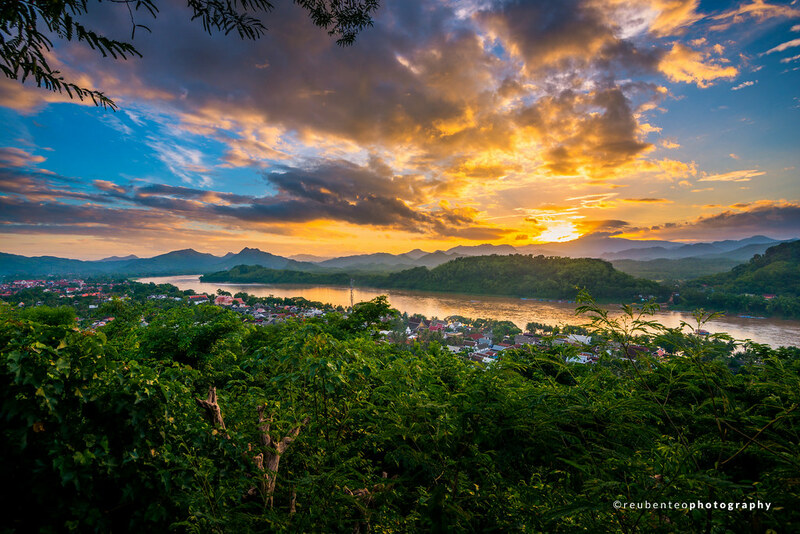 There is a short 328 steps climb to the summit which gives you a scenic 360 panoramic view of the entire town. 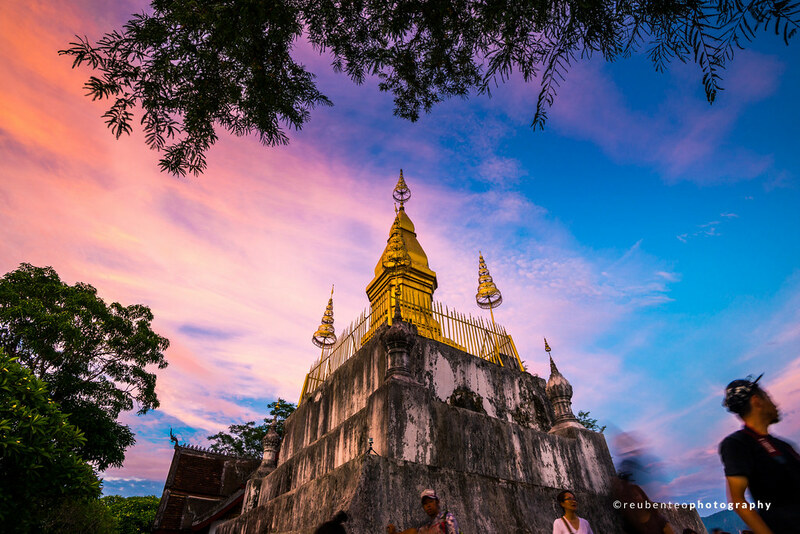 At the summit, there is a temple called Wat Chom Si. However, Mount Phousi may be extremely crowded during the evenings. Make sure you come up here an hour before to find your spot. 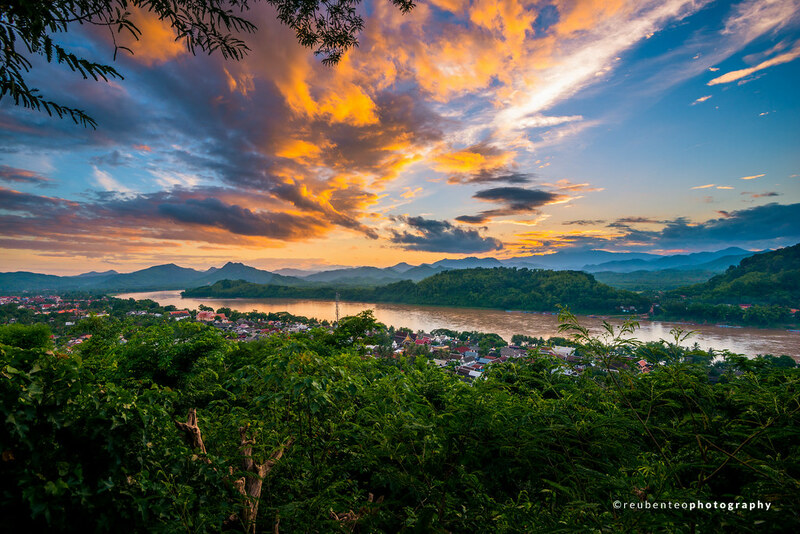 Most tourists come up to wait for the sunset, but don’t be discouraged because battling the crowd for your sunset spot at this viewpoint is extremely worthwhile. Just be careful of your belongings as it may get quite squeezy. 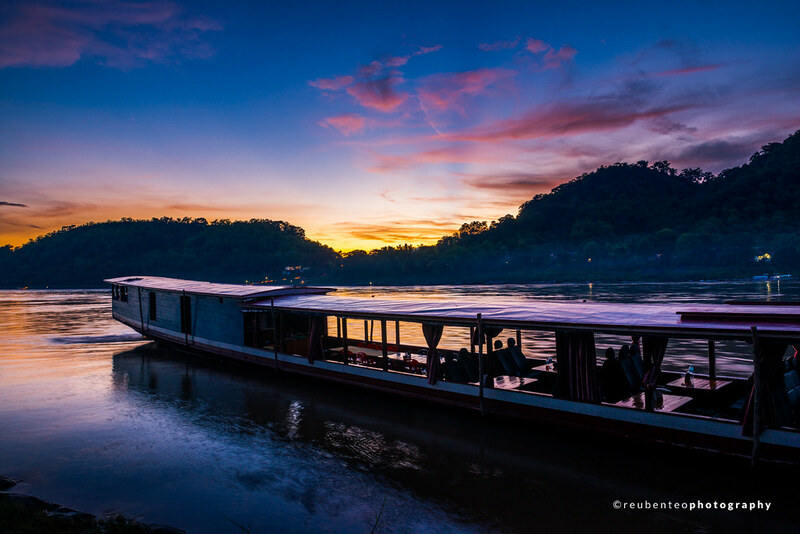 Another way to enjoy the sunset in Luang Prabang is to get yourself on the sunset cruise. We did not go for it but I heard it was quite the experience too. Looking at the many gorgeous sunsets during my few days here, I can imagine the romantic atmosphere the cruise can offer. 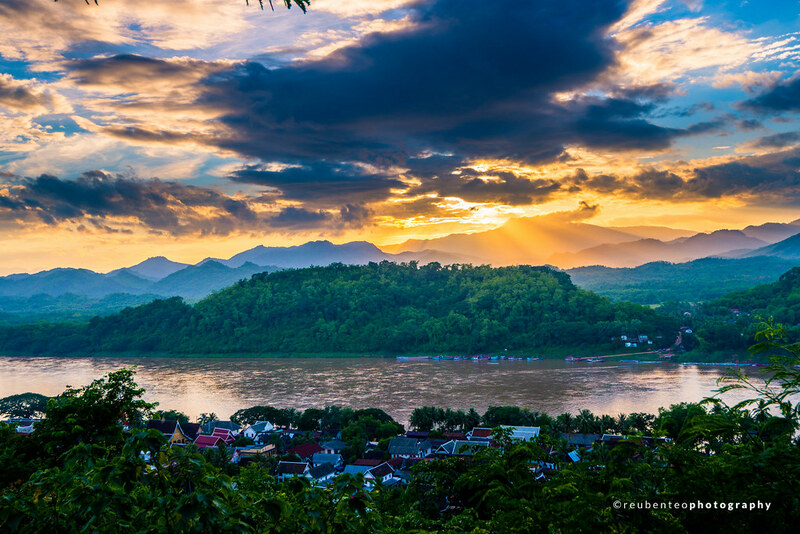 Even if you aren’t a photographer, just make sure you spend at least one evening gazing out the Mekong River and wander off into the sunset. 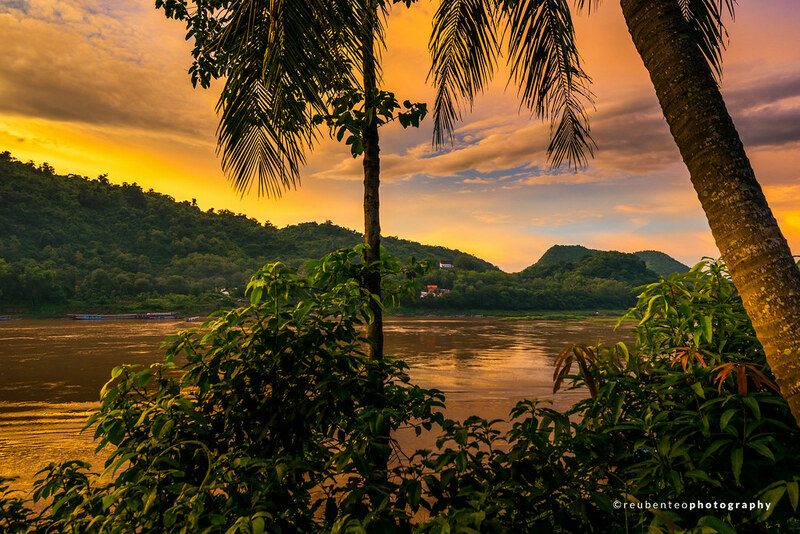 Luang Prabang is in fact a beautiful place to visit.